8 videos. Total length: 9 hours, 4 minutes, and 24 seconds. 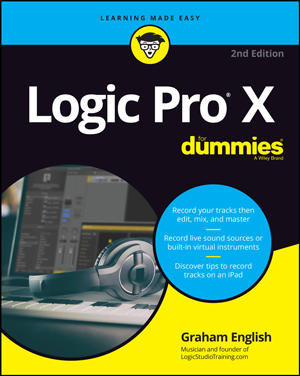 HD videos show you how to mix and master with Logic Pro X.
Step-by-step Logic Pro X tutorials explained in the easiest and fastest way possible. In addition to the Logic Pro X Quick Start Video Guide I’m be giving you, I’d like you to consider getting the complete Mixing and Mastering Masterclass. This course unlocks the full power of Logic Pro’s mixing and mastering capabilities and gives you access to high-definition videos that you can watch anytime. 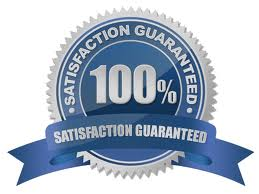 And during this limited-time offer, you can get it for only $19.95! How To Mix, Automate, Master, and Share Your Music! Mix and Master With Logic Pro X! This limited-time offer is priced low so we can get as many people as possible making better music. You’ll discover the fundamentals of mixing, how to set levels and measure volume, how to use channel strips in the mixer, apply effects, elevate your sound, and much more! You might be new to Logic Pro now, but shortly after you buy the Mixing and Mastering Masterclass, you’ll have what you need to make stellar sounding mixes with lots of depth and dynamics, and change your music into something you can be proud to share. 8 HD videos. Download or watch online anytime. 9 hours, 4 minutes, and 24 seconds of step-by-step Logic Pro tutorials explained in the easiest and fastest way possible. Just $19.95 today! P.S. 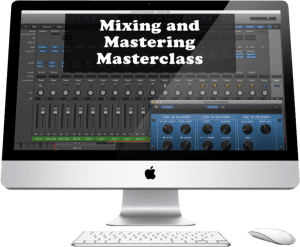 You might be new to Logic Pro now, but shortly after you buy the Mixing and Mastering Masterclass, you’ll have what you need to make professional and exciting mixes and change your music into something you can be proud to share.